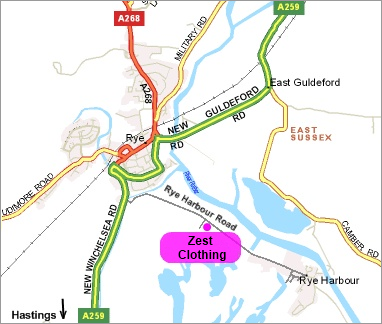 Zest Clothing is a UK online retailer selling great value clothing, lingerie & accessories worldwide. We pride ourselves on our fast reliable despatch service which means that most UK customers receive their order the next day. Our range of over 10,000 products includes items such as ladies lingerie and men's shirts made for UK High Street stores available from Zest at 50% or more off the High Street price. We sell hard to find products such as men's clothing from Espionage and Perfect Collection in sizes up to 8XL, that is 80" chest or 70" waist. If you are looking for some winter warmers you need look no further than Zest where you will find a great range of hats, scarves, gloves and winter socks for all the family. Our low prices and reasonable postage mean you will get so much more for your money! We sell our products through eBay.co.uk and Amazon.co.uk. We are one of the largest Clothes, Shoes & Accessories sellers on eBay UK and an eBay 'Top Rated Seller', a status awarded to sellers who consistently offer the very best service. We also sell through Amazon one of the most successful Internet retailers offering a convenient and trusted shopping experience. ©2011 1066 Sales Ltd. All rights reserved. Designed by Jarilo Design.